One of the things we LOVE to do while RVing is to eat at unique places. It’s something we didn’t really think about before traveling the country in an RV. We didn’t consider ourselves foodies by any means. Of course we enjoyed good food, but we didn’t get overly excited over the prospect of a good meal (other than a Chili Cheese Burrito at Taco Bell, those things are epic). We have heard a lot of people talk about being passionate about going to good or unique restaurants. 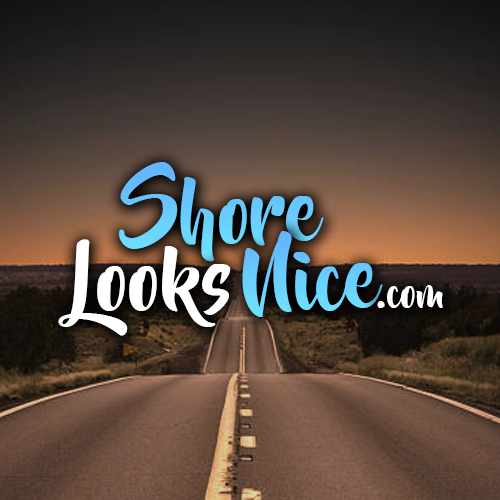 We’ve realized that being full time RVers it puts us in a position where it makes sense to do research online before heading to out in a new area. Without being conscious about it, we started honing our craft in locating, selecting and enjoying good restaurants. Around a year into traveling full time, we realized we had become foodies! We love seeking out new food experiences while we travel. When they Cook in Front of You: Many Japanese places put on a good show. 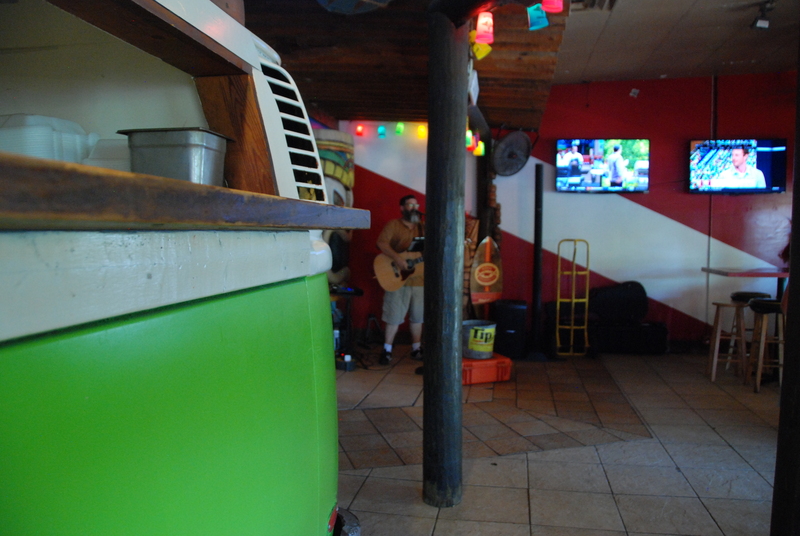 We’ve been to them all over the country and find they are very similar in menu, taste and entertainment. 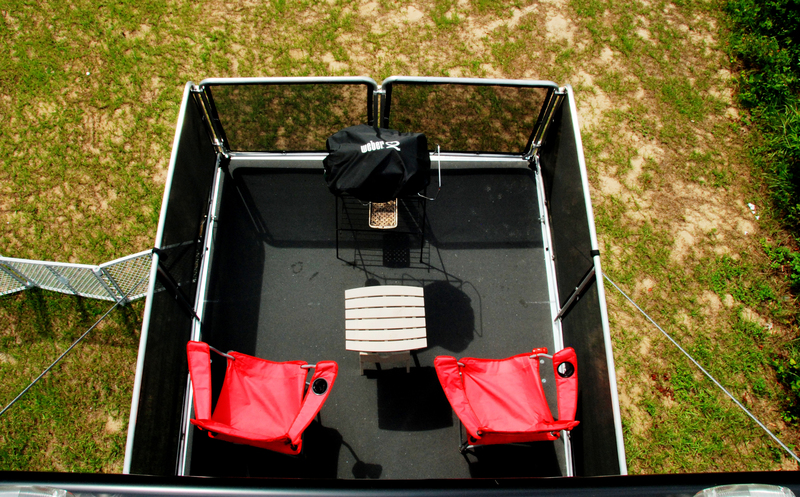 These are fantastic for kids and even fellow RVers. Eating at the Beach: It’s tough to beat a million dollar view like this.To watch Dolphins swim past while you chomp on a famous breakfast omelette is an incredible experience. 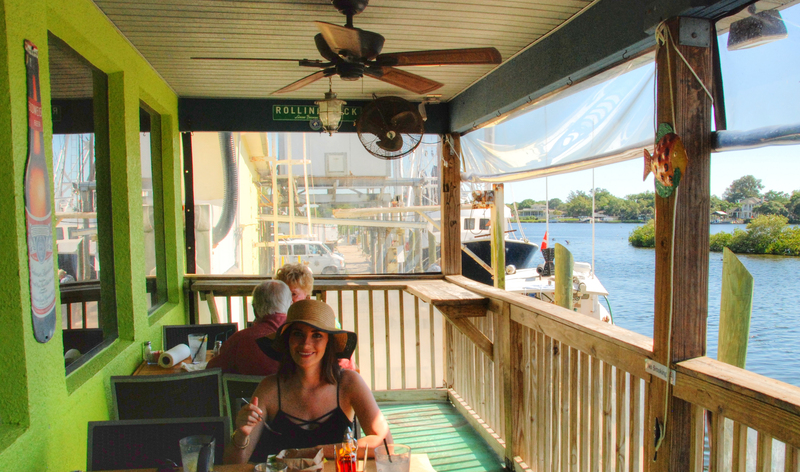 Eating on a Canal: This is fun because you can watch all the boats cruise by. 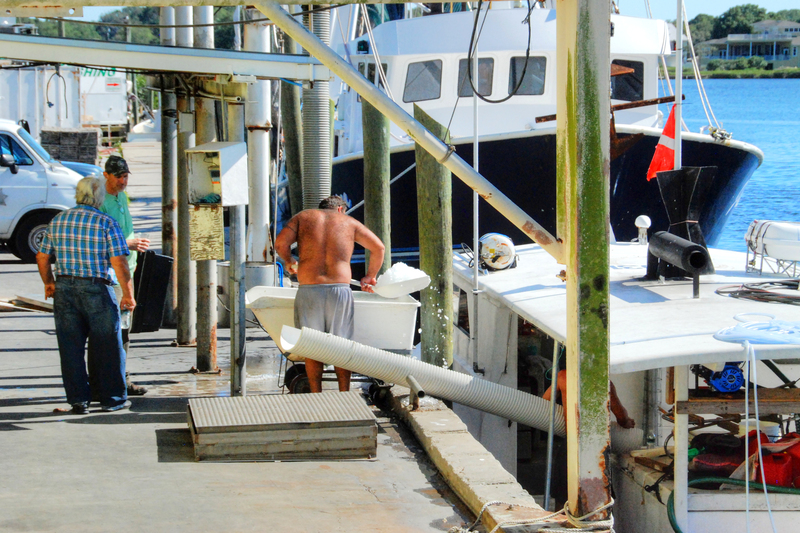 Recently we watched this boat pull up and drop off the seafood they just caught for the restaurant we were eating at to cook, awesome! 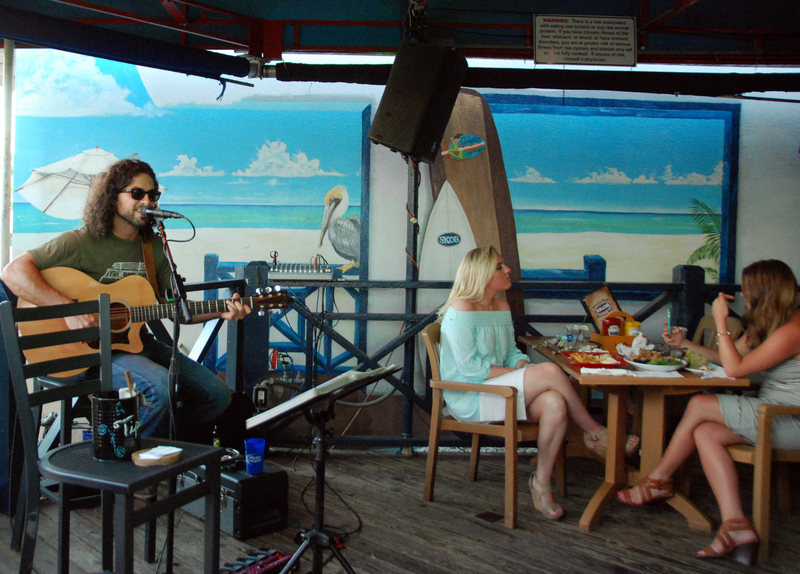 Places with Live Music: We love relaxing to some live music. Talented performers are all over and makes a great meal even more enjoyable! Grilling on the Deck: Our Toy Hauler has a deck off the back. It’s tough to justify going out when you’re grilling in nature. 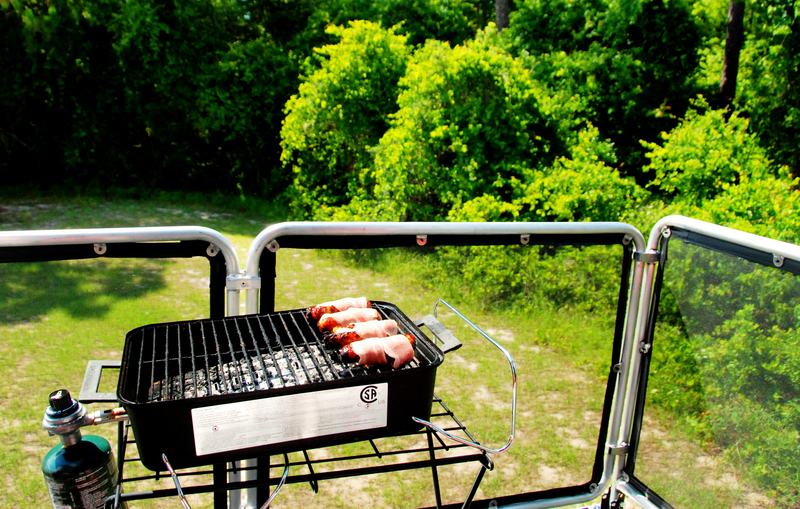 Scenic campgrounds are everywhere and make sure to take our time to get a spot that we’ll enjoy time grilling our favorite meals out back. We stumbled onto some sausages that are soaked in maple syrup and it’s changed our lives forever…Danielle cooks some fresh apples with them, WOW! Eating from Farmer’s Markets: We love going to local farmer’s markets. We just find it cool to eat food that’s native to the area we’re in. 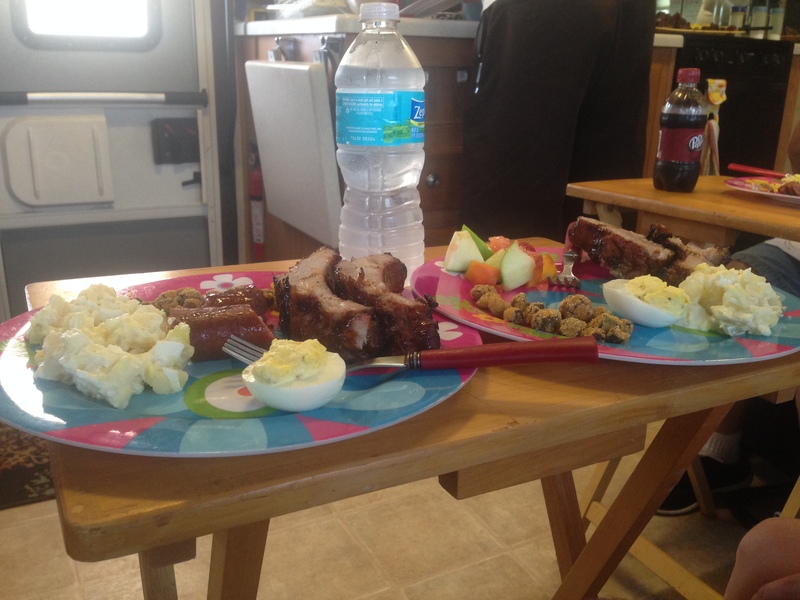 Often we’ll get fresh fruit and veggies to grill at the campground. Eating with friends: just because you’re on the road doesn’t mean that you don’t have to miss out on having a community. In fact we’ve met up with people at RV Resorts that we’ve met at RV Resorts on the other side of the country. A good resource for RVers to connect is RVillage.com. What I like is when eating with friends on the road they typically make their favorite meals from the area they come from. Interesting or Unique: Restaurant owners often will do fun themes. 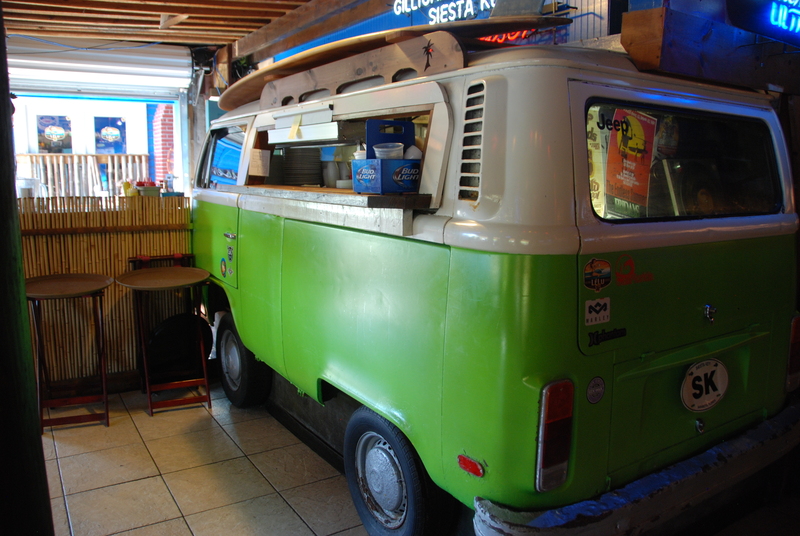 Check out this popular restaurant in Siesta Key, FL that has an old camper van that they pass the food from the kitchen to the servers in. I’m not sure if this officially puts us in the category of Foodies, but we officially love having new food experiences. What about you? Feel free to comment about your favorite spot or reasons why you visit certain places.